Fiona Wood is an Australian author whose first U.S. publication was Wildlife. Given my sometimes alarming adoration for Aussie YA lit, it went on my wishlist in about two seconds flat. Then, Wood's novel Six Impossible Things was released in the U.S. I acquired a copy immediately, but did not read it for inane reasons (I am weird about my TBR list and I wanted to read Wildlife first). Well, friends, I am here to tell you that this was a MISTAKE. Because months after receiving it for Christmas, I finally read Wildlife, adored it, and then discovered that *gasp* Six Impossible Things is actually Wood's first novel. And it has characters from Wildlife! And it takes place before Wildlife! And American publishing had duped me! And by letting my crazy personal TBR rules take over, I had actually committed the cardinal reading sin of reading books out of chronological order. I know that there are just as many others out there who care about chronology and avoiding spoilers as much as I do, so consider this your word of warning. 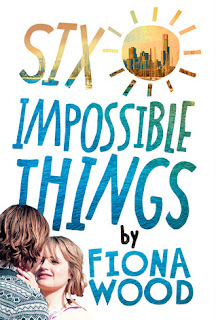 READ SIX IMPOSSIBLE THINGS FIRST! DO IT AND AVOID A HEARTBREAKING SPOILER. Okay, now that we've got that out of the way, I can safely tell you that both books are awesome, and they aren't direct sequels, just companions with shared characters but still. 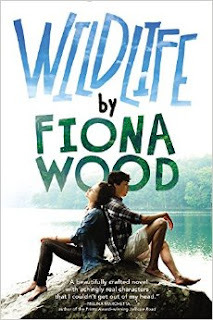 And a third book by Wood is coming out in the U.S. this fall, and yes, the main characters are secondary characters in Wildlife, so to all my fellow reading sticklers, don't even think about reading Cloudwish until you've read Six Impossible Things and then Wildlife. So, Six Impossible Things! It's the story of Dan Cereil, whose life is not fantastic at the start of the story. His dad has just declared bankruptcy, left his mom, and come out as gay. Dan and his mom are pretty much broke, and they end up living in a very large, very old house that great-aunt Adelaide left them. The only think that makes life bearable for Dan is Estelle, the girl next door. He's hopelessly in love with her, and he knows for a fact they'd be perfect for each other--only they've never met. And if Estelle ever finds out the reason why Dan knows they'd be perfect together...well, she'd definitely hate him. Six Impossible Things reminds me of a John Hughes movie, only if that movie were set in Melbourne, Australia, and not the suburbs of Chicago. Wood's novel is populated by weird and interesting and funny teens whose struggles and senses of humor are totally relatable, and they make some bad decisions, but sometimes they make some good decisions and it's all so entertaining and heartfelt. Dan's pursuit not only to win Estelle, but to figure out how to be a good person, is a struggle we all face and his misadventures are funny and heartfelt. It's really refreshing to read this kind of a story from a male perspective, and I enjoyed the characters all so well. I also really appreciated how Wood explored the family's financial situation within the book. The sudden shift from financial security (and implied wealth) to nearly out on the streets broke is an interesting dynamic, and in some ways just as traumatic as a death. Money worries take up a lot of Dan's brain space, especially as he tries to keep his mom from sabotaging her own wedding cake business and find a job himself. Wood does a great job at showing how a lack of money can have a domino effect on teens' lives and bring about other challenges--Dan outgrows his clothes, can't buy a dance ticket, and he worries when he can't afford to take his dog to the vet. Wood writes with sensitivity and empathy that teens will appreciate. Wood creates a world that readers will want to inhabit, with an ending that is just an convenient (but not less genuine) than a John Hughes movie ending, and easily twice as satisfying. Trust me, you'll run to the bookstore for Wildlife once you've finished. ARC provided by publisher, like, ages ago. Thanks, guys. I'm sorry I'm seven months behind on everything. 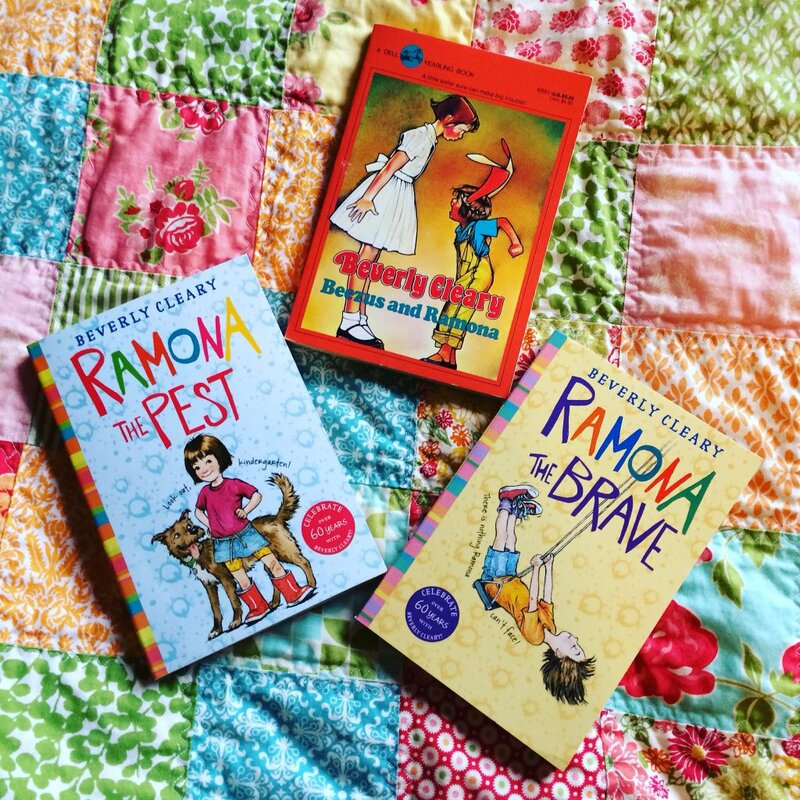 Happy book birthday to K.A. Barson and Charlotte Cuts it Out! Kelly is the author of 45 Pounds (More of Less), which I loved, and her new book has a lot in common with her first--same great setting, wonderfully complex characters, humor and heart--plus a few fun differences. Charlotte Pringle and her best friend Lydia have a Grand Plan--go to cosmetology school, work while they earn their business degrees, open their own salon, and live happily ever after. With a mom who wants her to give up on cosmetology and go to a real college, the Grand Plan is especially important to Charlotte--and so is winning the Winter Style Showcase. But winning is not so easy when no one else shares your vision, your family has their own drama that demands attention, cute boys are distracting at every turn, and your best friend suddenly seems to have her own plan--one that she doesn't share. I adore this book. 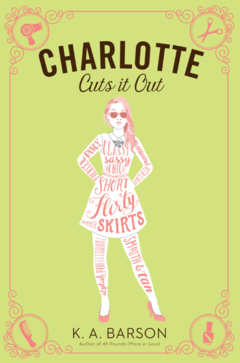 It's smart and funny and sassy, and Charlotte is a girl who just does not give up. I love that we get to see a story about working teens, and teens who are still in high school but pursuing vocational training, and who love what they do. That was a nice change of pace from the books where the teenagers are taking AP everything and focused on tests and exams and what they're supposed to major in. The teens in this book are still worried about their futures, but seeing vocational schools and other training programs as another option alongside college was refreshing. Charlotte's story is also pretty fast-paced, even though it spans a couple of months. She's driven to succeed, and she's very smart and talented. What trips her up isn't a lack of skill, but simply life. Sometimes the hardest lesson to learn is that no matter how talented we are or how solid our plans are, life gets in the way, and when that happens, we have to take a step back and re-adjust. At the beginning of the story, it's Charlotte's way or nothing, and over the course of the story she has to learn that other people's opinions, desires, and talents have value, and just because something doesn't go the way you expect it to doesn't mean the dream is over. Added in is a healthy balance of friendship, school, boy, and family drama, and the result is a story that many readers not only need, but will definitely relate to. Also--how awesome is that cover? So pretty and flirty and sassy! 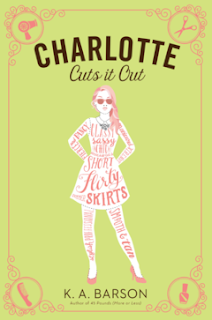 Charlotte Cuts it Out is out now! Thanks to the author for an advanced copy!